Congratulations if you are recently engaged or if 2019 is the year of your wedding. 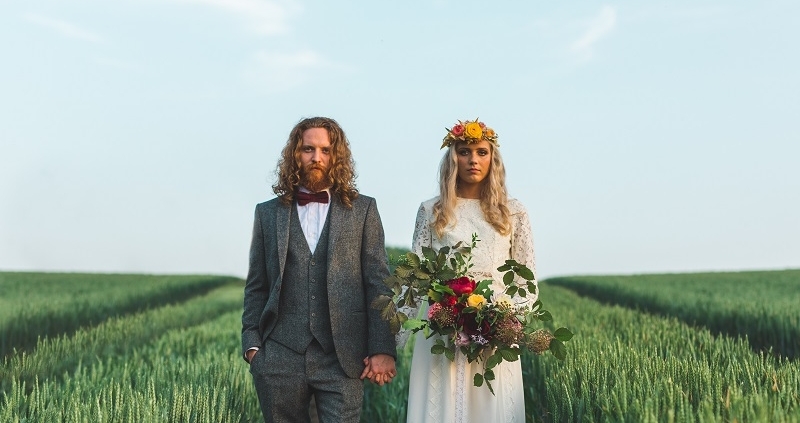 If like so many of my couples, you are planning a boho inspired wedding, no doubt your Pinterest will be full of alternative wedding ideas, far from bland hotels and nylon chair covers! There is so much to chose from when planning a boho/alternative wedding, so I thought I’d bring you a round up of my favourites which I know will be huge for 2019 weddings. 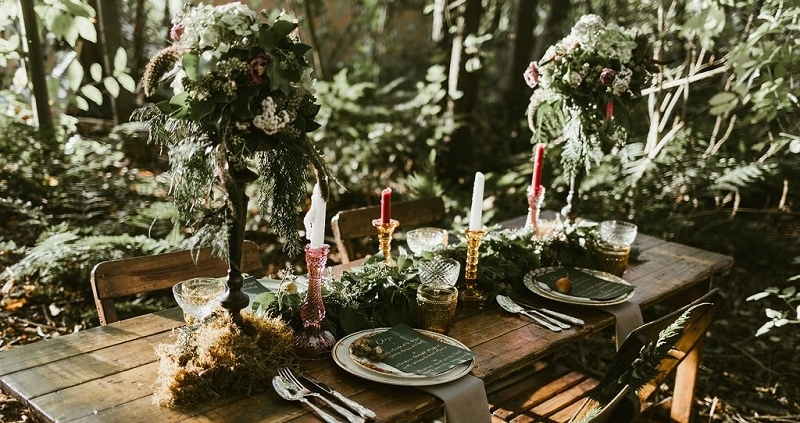 When asked by the lovely Jen from Wedding Spark to supply vintage crockery, glassware and cutlery for a styled shoot at The Barn at Avington, she mentioned it was a Wes Anderson-inspired shoot but to be honest I thought that just meant boho style with Brogues. How wrong was I, this shoot was epic with so much attention to detail. There was a huge team of perfectly selected wedding suppliers who each took so much time to get their contribution spot on. From the attention to detail in the wedding stationary to the gingerbread house and that perfect flag, to name a few. Here are some of my favourite images from the day, captured by the talented Kirsty Mackenzie.